Conduct an Internet search on ’Does milk cause cancer?’ and you are likely to end up totally confused. Some of the top articles say there is no evidence for cows’ milk or cows’ dairy and an increased risk of cancer (untrue), while other articles say it is all bad news (also untrue). Frankly, it is not a white and black issue - you need to look at the research evidence. Sadly, too many vested interests are in play! Does consuming milk cause cancer? Back in 2003, CANCERactive presented Epidemiology studies from the Karolinska Institute in Sweden showing that, for prostate cancer, there was a straight line graph for cows’ milk consumption and risk – the more milk a man consumed (including butter, cream, cheese) the greater his risk of prostate cancer. The same held true for breast cancer, although the correlation was not quite so exact. Then in Cancer Watch we covered several studies linking a heightened risk of ‘serious’ ovarian cancer with just a cup of milk a day (Suzanne C. Larsson, Leif Bergkvist, Alicja Wolk). But, a few years ago Gosia Desmond, Director in Nutrition and a lecturer at The College of Naturopathic Medicine in the UK and in Ireland, wrote an article for us showing that the consumption didn’t have to be current – her research evidence showed a heightened risk of breast cancer where excess saturated fat was consumed during a woman’s formative teens. In Cancer Watch in 2011 (Johanna E Torfadottir et al, University of Iceland) and again in 2014 there is research saying the same holds true for teenage boys going on to develop prostate cancer later in life; with a finding that this prostate cancer can be more aggressive. We warned against milk. And we adopted a ‘no cows’ dairy’ stance. But. The issue isn’t black or white. Maybe that’s not entirely correct. What’s so bad about cows’ dairy? Of course, it is true that cows grazing on land which last year grew a mass-market crop, may consume any pesticide used. And fat is a wonderful solvent, so the fat in milk products will likely bring the pesticides to your body. One answer might be to consume low fat milk and/or certified organic milk. The next problem is the lactose contained in the milk. A basic sugar, which, like glucose, can be used as a fuel by cancer cells. It will also fuel yeast infections like candida and this can lead to leaky gut syndrome, fatigue and even depression. Yeasts can get into the blood stream and stick to cell membranes causing blockages of important messages. Then there’s the protein. The extensive China Study (Professor T. Colin Campbell) warns against high consumption of milk protein and the links with cancers (such as liver cancer). And the hormones. It doesn’t help that roughly 80 per cent of mass-market milk is derived from pregnant or recently pregnant cows; bringing a number of hormones you would rather have avoided. Again, fat is a wonderful solvent and can dissolve compounds you’d rather not have in your body. For example, a ten-year study by the University of Helsinki (Adlercreutz et al, 1990) showed that increased milk and saturated fat consumption was linked with an increase in female oestrogens in the body. Another concern is growth hormone; specifically, Insulin-like Growth Factor 1 (IGF-1). It may help a calf become full size in about ten months but do you really need growth hormone helping your cells grow at this rate? Breast cancer will often attack the patient’s bones. It has now been shown that the attack stimulates growth hormone production in the body, as the bones attempt to toughen up and withstand the attack. But the cancer loves growth hormone – it uses it to grow essential blood supplies to a tumour. Finally, there is research (Nature, Dec 13th 2013) on the bacteria in your gut. When you consume milk products, the volumes of constituent bacteria in your gut change significantly and rapidly and the new colony has lowered plant-loving bacteria (for example, Firmicutes) but increases in protein-loving bacteria - and these produce highly inflammatory compounds. These are not confined to the gut but may pass into the blood stream. Inflammation can be the precursor to many chronic illnesses including cancer – it may also encourage metastases. In 2016, research showed gut bacteria could even arrive in the breasts and bacteria may well play a role in breast cancer - there was a very different profile in a breast with cancer, to a breast that was healthy. The benefits of cows’ milk? So, does milk have anything going for it? There is some evidence that the calcium in milk can reduce the risk of inflammatory polyps in the gut. You will find some cancer charities recommending consuming cows’ milk for this reason. But you could gain more than enough calcium through eating one good helping of greens. Indeed in the European Prospective Investigation into Cancer and Nutrition (EPICN, 2008), the UK study concluded that both protein and calcium consumption from cows’ milk were linked to prostate cancer, whereas calcium from plant sources was not. One theory is that the flood of calcium in cows’ milk reduces magnesium absorption and blood levels of essential vitamin D.
The supportative evidence for cows’ milk also runs counter to the latest research on inflammatory gut bacteria, above. Let us stay with gut bacteria for a while, and look at unpasteurized, or raw milk. Totally legal in Europe you can buy such cheeses in Supermarkets. This in turn will stop those that produce inflammation and toxins being produced whilst helping produce important natural compounds you need to fight all illnesses from dementia to cancer, and even boosting your immune system! After the age of 50, the gut bacteria lose diversity and numbers and hence effectiveness. We used to top them up daily via the foods we ate but Health Authorities and a desire for sterile living conditions put paid to that! But you can still take daily probiotics and consume certain foods - like fermented vegetables (for example, Sauerkraut), Kefir or raw milk. "If you are already thinking of supplementing why not take a look at what Natural Selection has on its website." Compared to its boiled counterpart, the Gabriella study concluded that raw farm milk was higher in numbers and types of bacteria, lactoferrin, IgG antibodies, whey proteins, and TGF-2, which is known to suppress the inappropriate immune responses that underlie autoimmune and allergic conditions. But isn’t raw milk dangerous? A European Study presented in Food Control stated that people had to balance the probiotic benefits of raw milk with possible pathogen content (such as campylobacter, salmonella and human pathogenic verocytotoxin-producing Escherichia coli). The CDC in America tells stories of infections, particularly amongst children, but contrary to popular belief, in states such as California there has not been a death from raw milk in over 35 years. In Europe, despite attempts to prevent the sale of raw milk, the French carried on as usual. 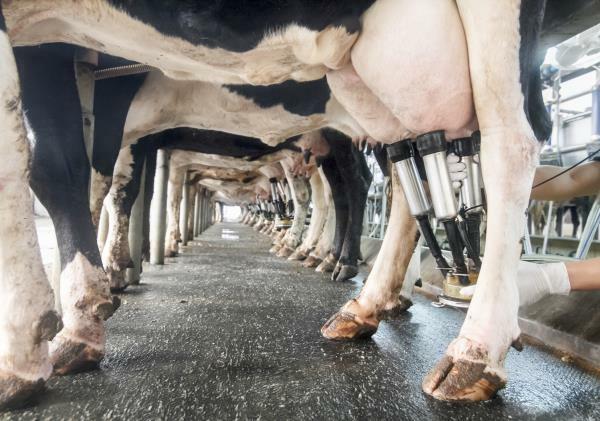 There are well-run and well-regulated farms across the UK, and the UK Government is looking at bringing in Raw Milk dispensers across the country. But then kids brought up on farms and people drinking raw milk have stronger immune systems for life. Major research studies (for example PARSIFAL; GABRIELA) are detailed in Chris’ book. And a strong immune system and a healthy gut flora is just what you might need to fight of a cancer. The researchers then (and numerous others since) found that the problem with cows can be that they are fed ‘unnaturally’, with grains, or even sheep skeletons (remember CJD and mad cow disease?). These animals often have linoleic acid in their milk and flesh. And there is evidence that it can be responsible for some of the inflammatory effects of beef, milk etc. But cows’ are ruminants,; they have rumens. And these are where grass is digested by certain beneficial bacteria. During this process, the linoleic acid is converted to a number of different isomers. To keep matters simple, these variants have been given the term ‘Conjugated Linoleic Acid’, or CLA. And guess what? At pretty small levels CLA is an anti-cancer agent. There is research with all manner of cancers from prostate to bladder cancer. Research has shown that CLA actually builds up in breast tissue and has a strong preventative effect. So, swings and roundabouts. Organic, grass-fed milk might be extremely helpful to someone with cancer – and they need only consume small amounts. The biggest issue is then to know the source well. Of course you could eat Sauerkraut, and take probiotics and CLA as supplements. "If you are already thinking of supplementing with CLA, why not take a look at what Natural Selection has on its website. Click here to go to the relevant page." So cows’ dairy consumption can bring pesticides, hormones and saturated fat. Research shows links to diseases from diabetes to cancer. Cows’ dairy consumption results in highly inflammatory gut bacteria. The real danger may be the consumption of mass-produced milk and saturated fat during your teens. Raw milk has some great benefits, as does milk from cows that have run freely consuming a natural all grass diet. At least now you know the facts on which to base an informed decision.